After my abbreviated waiting room visit yesterday, I was ushered into a little room. After the nice nurse (who liked my work) took my signs and left, I was left alone. The room was white. The only feature worthy of my attention was the little shelf that held the jar that held the tongue depressors. I’d never seen them out in the open before, but it was comforting, in a way, to know that my next episode of depression would be coming from that container. 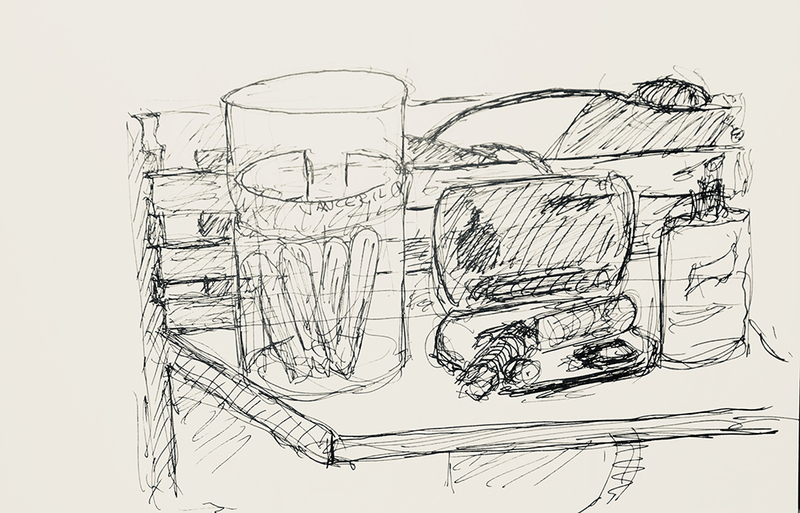 This entry was posted in Personal Stories and tagged 15 minute sketch, art, artistic process, creativity, doctor's office, drawing, pen and ink, sketch, tongue depressor, visual art. Bookmark the permalink.